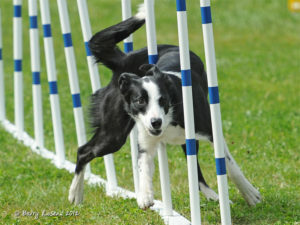 Agility is an incredibly fast-growing sport with countless rewards. 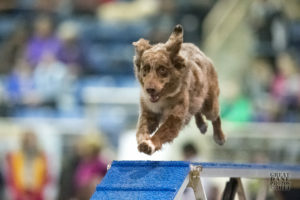 Our classes will introduce your dog to agility equipment and teach him advanced handling techniques. Best of all, you’ll improve your relationship with your dog and have tons of fun while you’re at it. Have you had a hard time keeping up with your dog’s energy level? 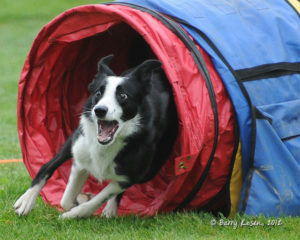 Our agility classes will give both you and your dog a physical and mental workout. Letting your dog get out all of his extra energy will keep him calm (and tired!) once you get home. No experience? No problem! Sign up just for fun or to train for a competition. Our “just for fun” students often love agility so much that they go on to become excellent competitors – it’s that easy to get hooked on the sport! Start with private one-on-one sessions and then join a group!